Winter has been especially tough on the Northeastern United States this time around. My partner and I were looking for an escape to somewhere warm and photogenic (for me), and in a region that produced coffee (for him). Both of us would have to return to work the day after we arrived home, so being within one time zone of New York was also a motivating factor. 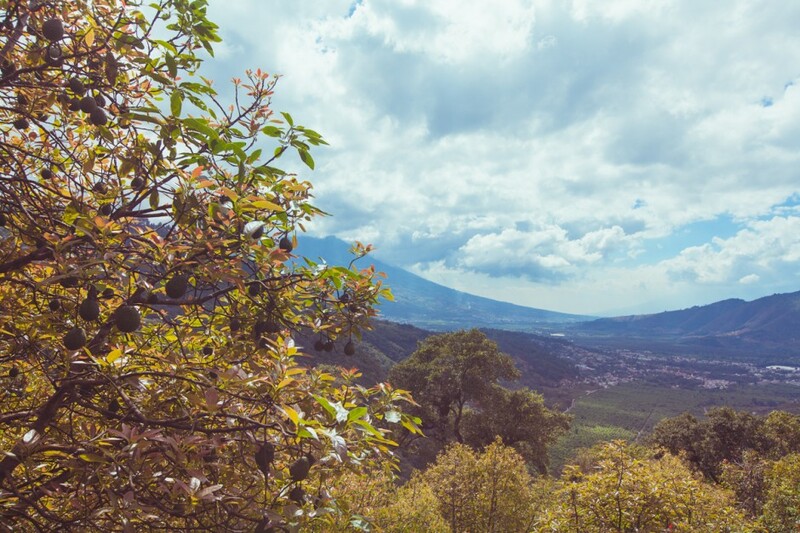 With so much to explore between Mexico, Central and South America, and the Caribbean, we decided to do a little crowdsourcing. “Guatemala!” was the exclamation that came up over and over. Friends who’d visited in the past assured us we’d get everything we were looking for there. We were sold. 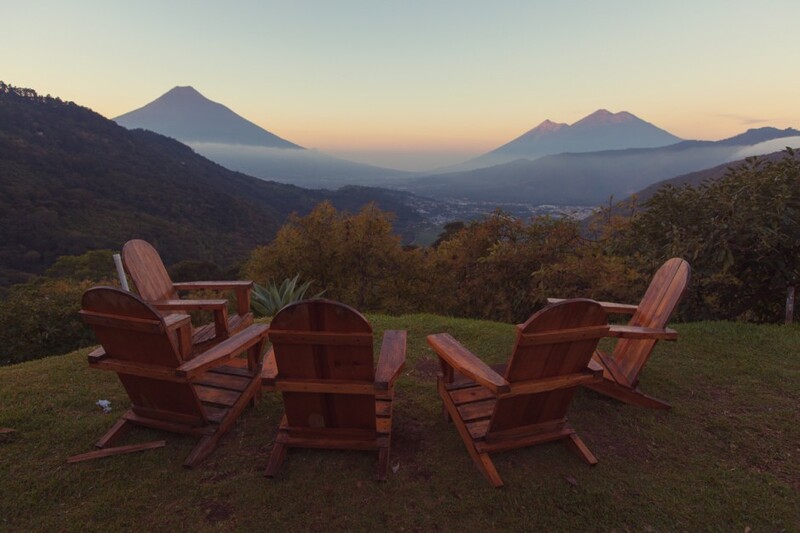 Front-row seats to the sun rising over volcanoes at Earth Lodge. 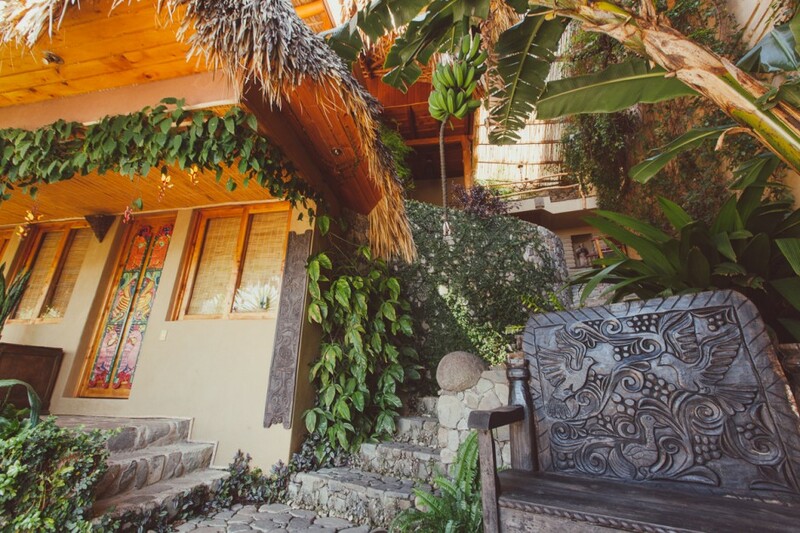 Also a working avocado farm, the Earth Lodge property has 390 trees and a cafe serving up guacamole and other afternoon hammock snacks, a happy hour with a portion of beverage proceeds donated to a local village school, and communal vegetarian dinners at night. 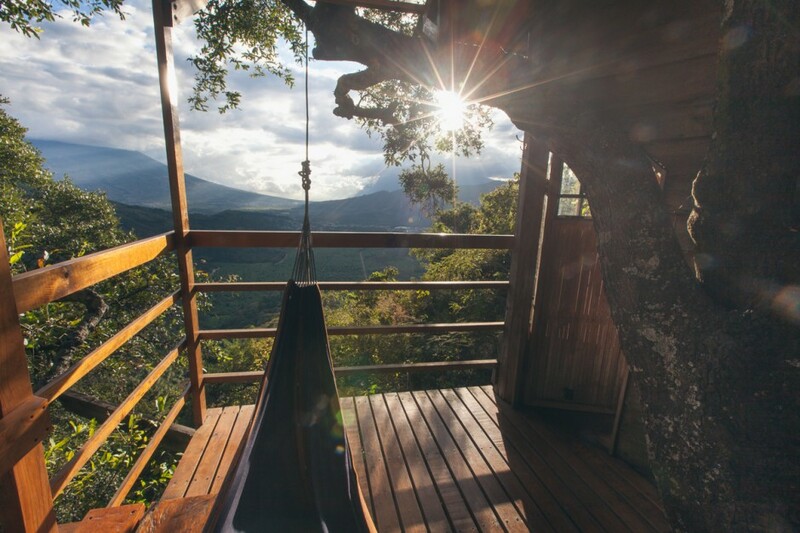 Waking up in a secluded treehouse on the mountainside overlooking Antigua. 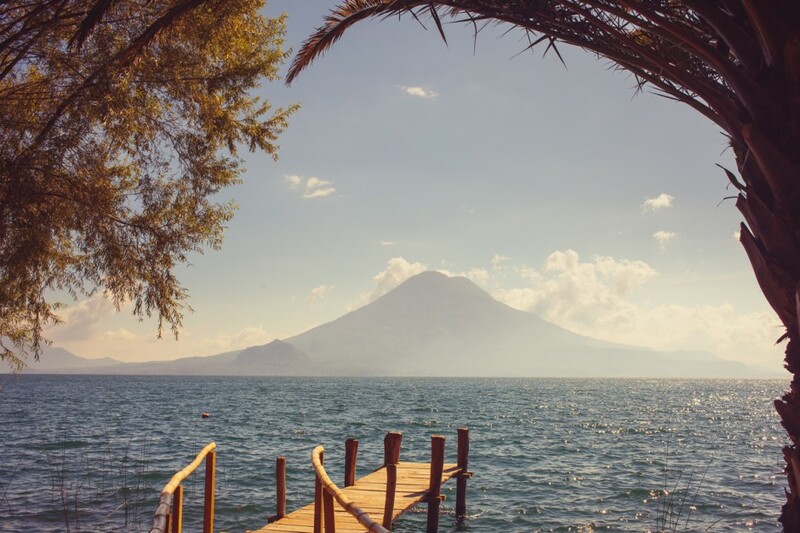 A view of one of the peaks, from Lake Atitlán. 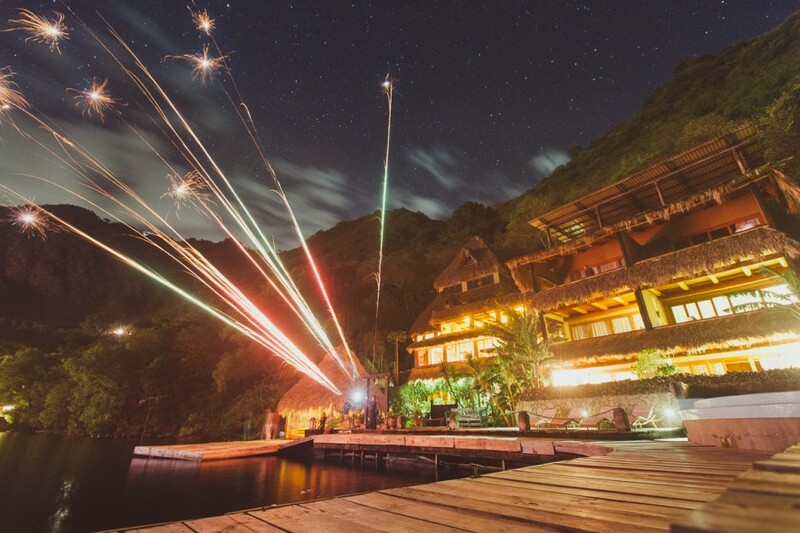 The gorgeous Laguna Lodge, situated on its own nature preserve on Lake Atitlán near Santa Cruz La Laguna. 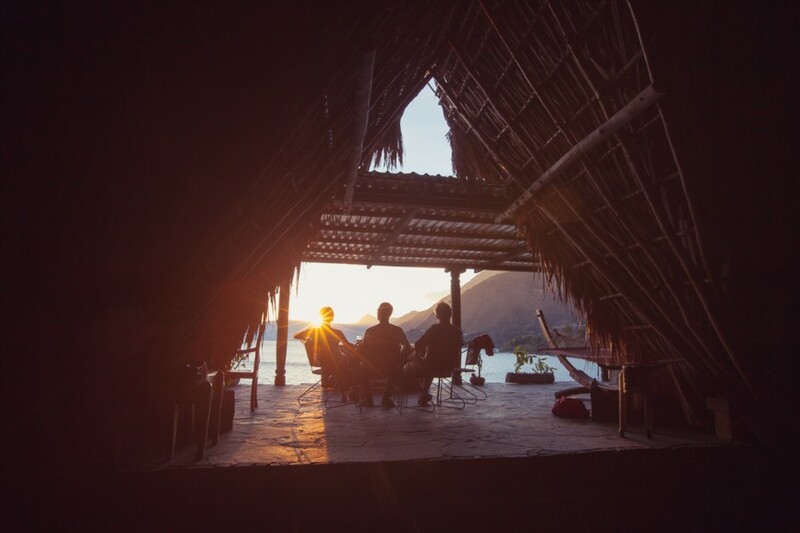 Shoreside sunset views at Lake Atitlán. The calm before the lively crowds arrived at Jose Pinguino’s in Panajachel, a family-owned restaurant serving up traditional Guatemalan fare. Jose himself presided as master of ceremonies over the lively meal prepared by the chef (also his wife), as their daughters performed on the marimbas. 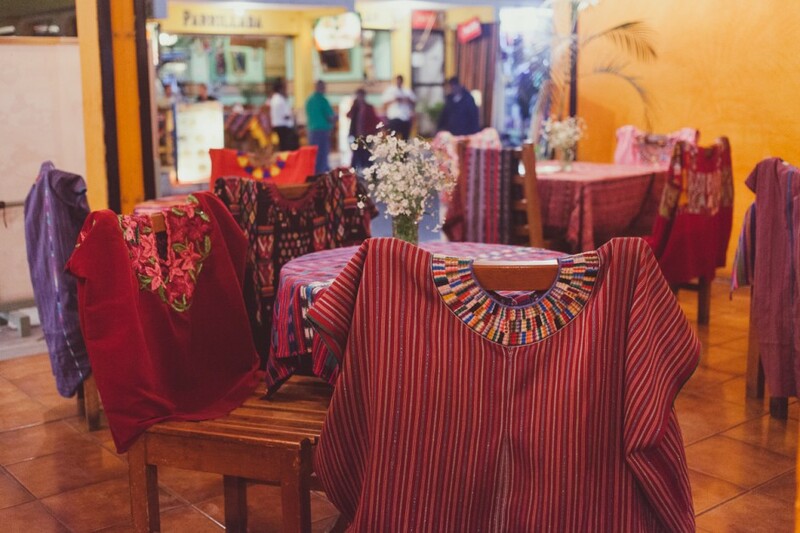 The tables and chairs themselves are kaleidoscopically adorned with local traditional clothing. A midnight celebration at the Laguna Lodge. 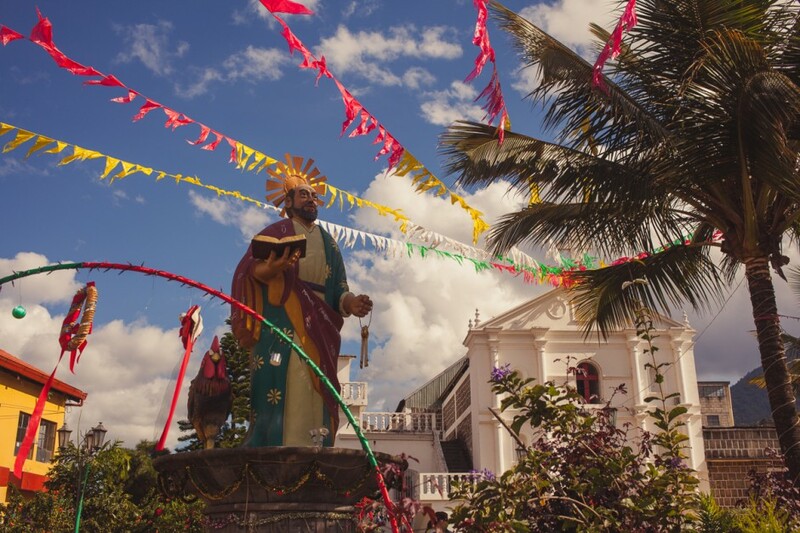 Preparations in San Pedro for the approaching new year. 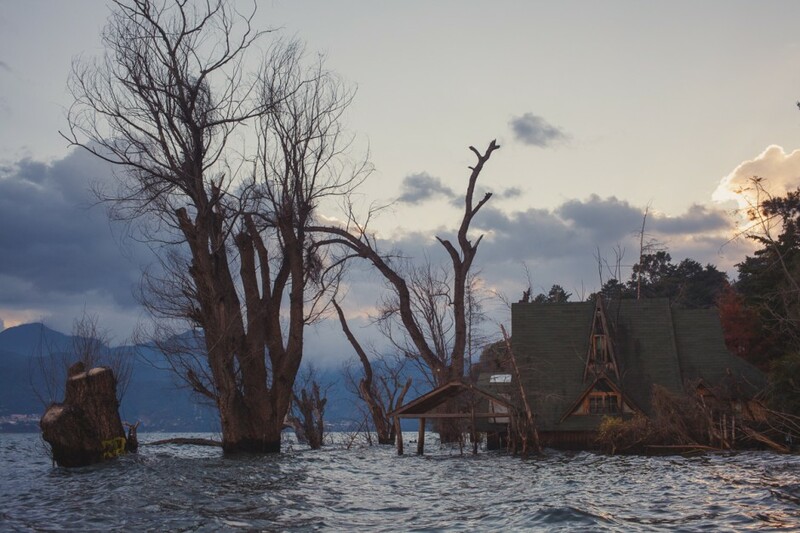 In 2010-2011, the water level of Lake Atitlán rose about 15 vertical feet, leaving many scenes like this in the shoreside towns that surround it. Home base in the colonial town of Antigua was the El Convento Boutique Hotel, who generously put us up for the duration of our stay. 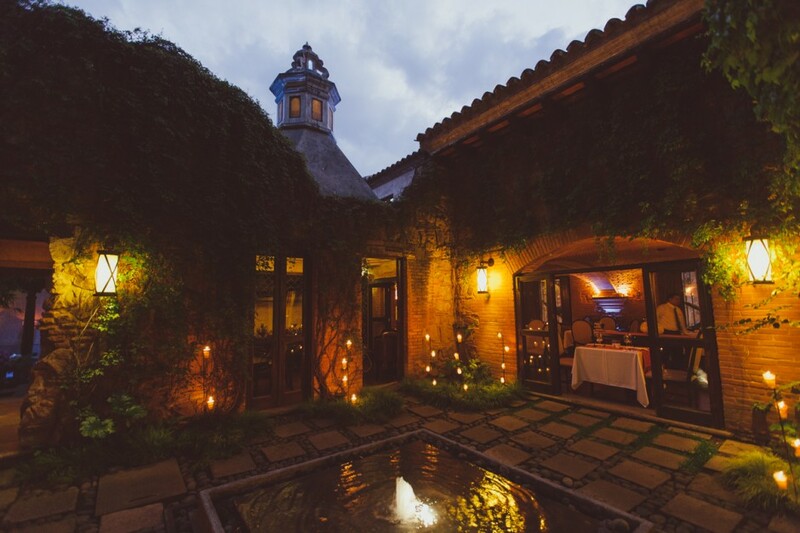 Located across from the abandoned ruins of the Capuchinas Convent and housed in a historic building, the airy corridors and garden-filled courtyards made for a relaxing place to tuck into. 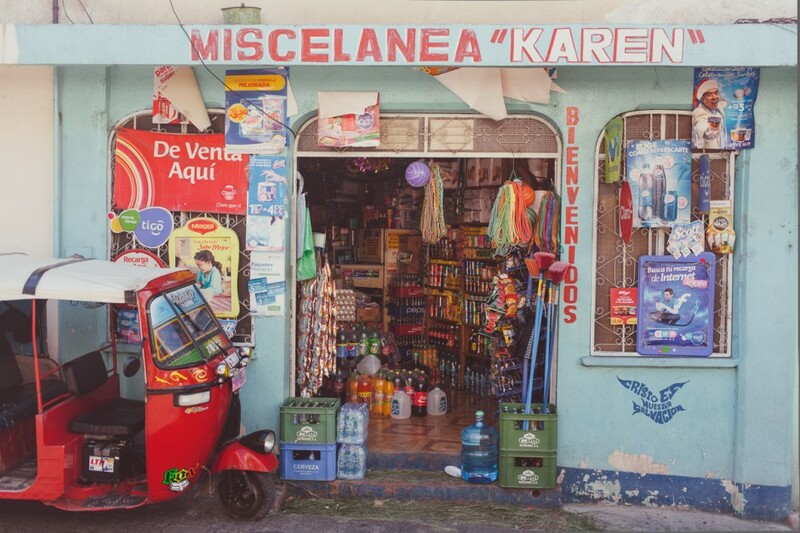 The bustling Dulceria Doña Maria Gordillo, full of Guatemalan sweets. 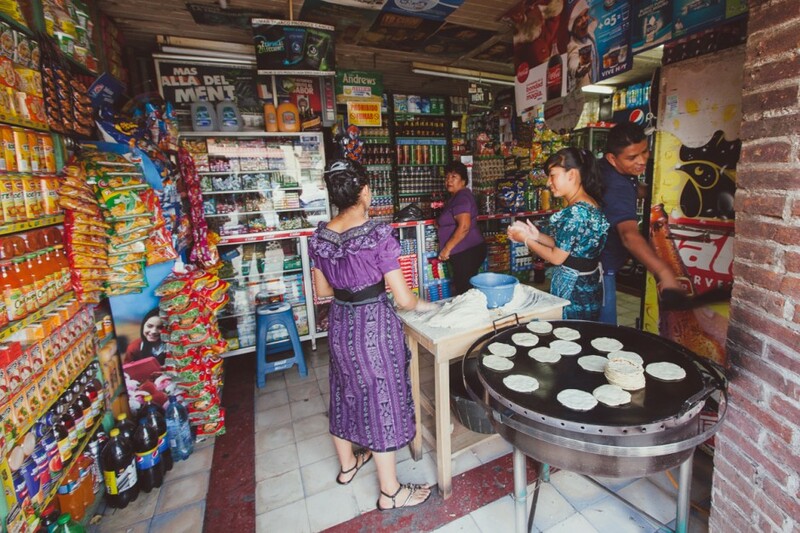 Fresh tortillas in a neighborhood tienda in Antigua. 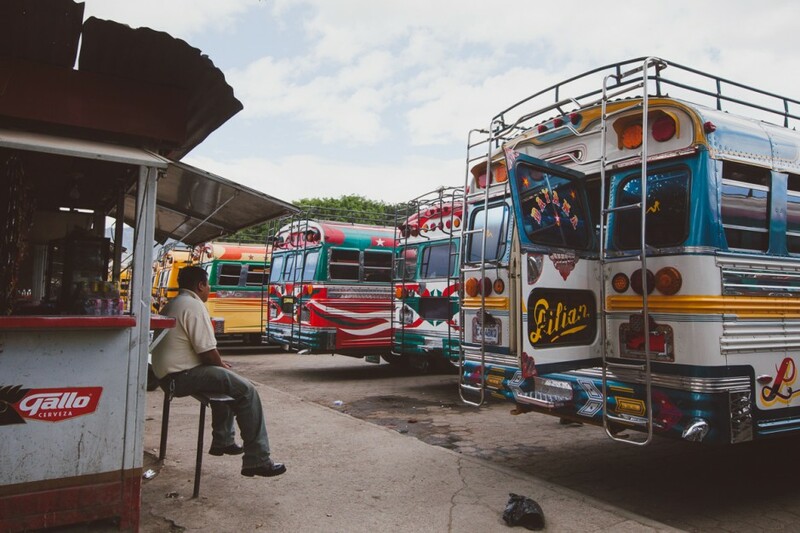 New life is breathed into retired North American school buses as a form of public transport in Guatemala and all over Central America. 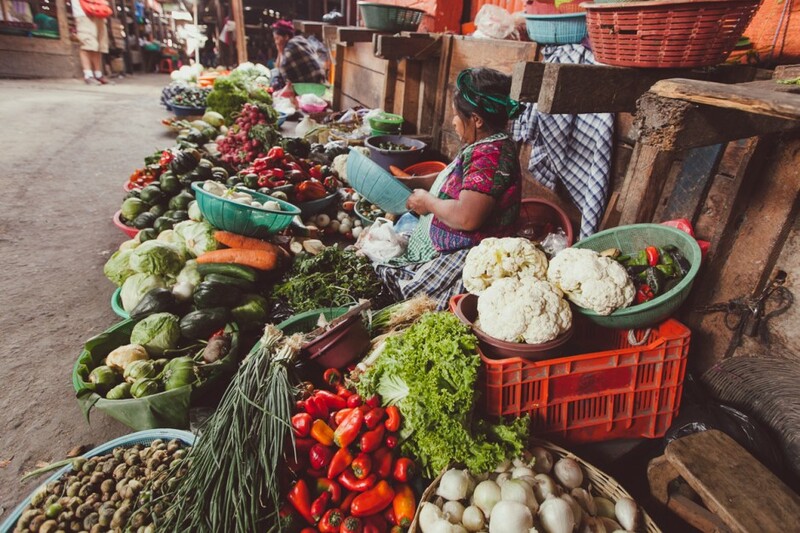 A woman selling vegetables at the market in Antigua. 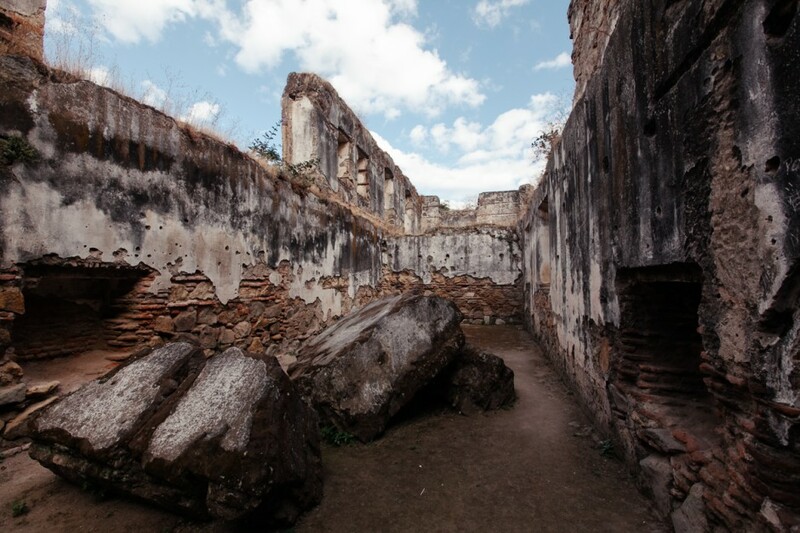 Antigua has many hauntingly gorgeous ruins to explore, remnants of a Spanish colonial capital toppled by a series of major earthquakes in the 1700s. 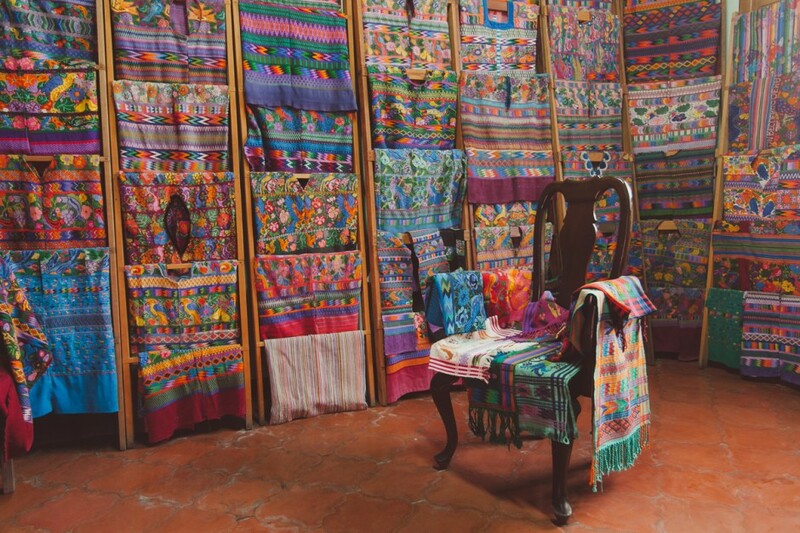 The streets in many tourist destinations in Guatemala are lined with a variety of sellers offering native (or “native-inspired”) crafts and souvenirs. 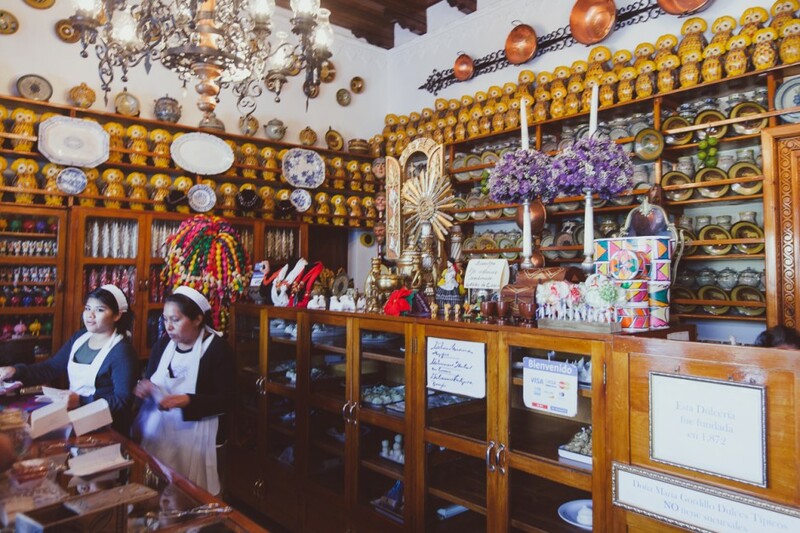 A little different, the Casa del Tejido is a small museum with a shop selling wares made by local artisans.